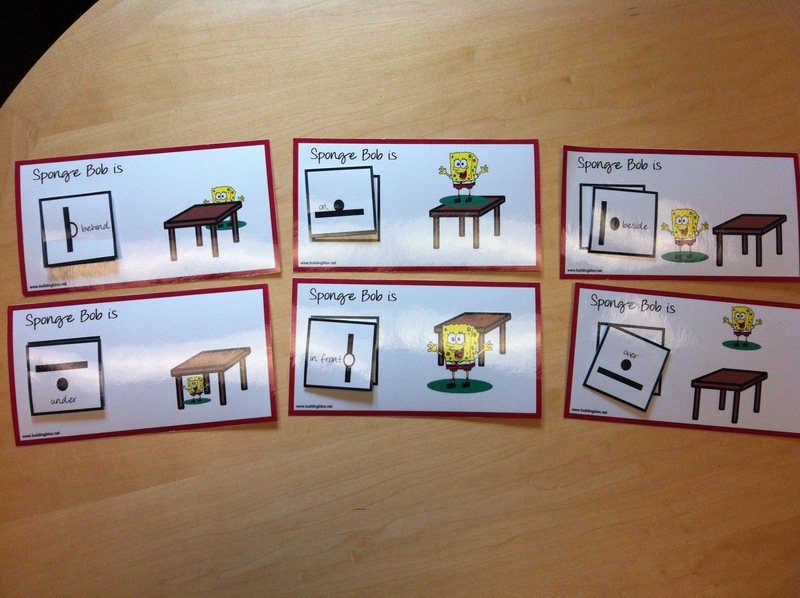 The focus of this activity is to teach various prepositions by using the character Spongebob. This kit includes laminated cards and accompanying prepositional words on Velcro pieces. This entry was posted in Learning Aids, Our Library and tagged Autism Spectrum Disorder, Communication, Learning Aids, Prepositions, Vocabulary. Bookmark the permalink.